What a conference! A round of applause to the One World Identity team and CEO Travis Jarae for delivering such engaging content, including keynote speakers Scott Galloway, David Birch and Steve Wilson. These speakers – and many more – really challenged the identity community to assess the definition of online identity and how the global forces of commerce, technology and government have a role in how we assess this definition. Astronaut Anousheh Ansari, whose tale of growing up during the Iranian Revolution before immigrating to the United States, was so uplifting it brought a tear to my eye. If you need a reason to understand what is good in this world, please look up one of her speeches. 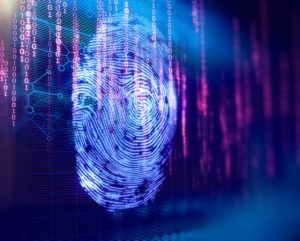 With all of the security breaches over the last year, it is not surprising that the identity marketplace is looking at alternative data elements to validate identity and age. There was a lot of discussion about the future of government-issued identity systems, such as SSNs. Brandi Travis, Aristotle’s CMO, took part in the discussion during her Monday panel, SSNs: Their Role Today and Their Place in the Future. Another panelist proposed that “identity is conferred by the government” by the issuance of an ID number for tax purposes. I personally believe that Identity with an “I” is actually conferred by our interaction with other humans or institutions and has a more lasting quality. Certainly, the identity number issued by the government is an element of most persons as a part their relationship with a state, but in the long run, overrated. It was suggested that the U.S. government release SSNs to the public to thwart fraudsters and synthetic identity. Whilst I think that synthetic identity is an issue, the release of all of this identity information would create an enormous and greater threat to individuals for identity theft. However, if they did release SSNs, perhaps they would lose their appeal as the sole identity element and we might rely more on multiple data attributes from other data sources, from devices, to document and biometrics. What does that leave us? In the E.U. and many other countries, a government number is not necessarily the standard of identity reliance. At Aristotle Integrity, we have many years of validating identity in multicounty environments without the advantage of an official government ID. What we have found is that multi-attribute (data type), multiyear and multi-methodology including biometrics, mobile and document approaches create a Digital Identity without government involvement that does not rely on a government ID number. What does that mean? Identity need not be strictly limited to Government IDs like SSNs to confer confidence in identity. Considering the extent of identity theft, can we imagine a world where identity can be assessed without this reliance? In fact, the lack of a “definitive” ID number forces identity and risk assessors to leverage more sources for identity attributes that create a less hackable assessment for identity conveyance and potentially extend more persons to engage in a sharing economy who may not meet the government ID threshold.